Sean’s Yard Service, LLC is a local, family-owned and operated landscaping and lawn care business serving North Arlington, Falls Church and McLean, Virginia. With a focus on the most commonly requested yard care services, we provide weekly mowing, mulching, gutter cleaning, leaf removal and so much more. I am one of Sean O'Neill's first customers. We go back a very long way. He is very reliable and will show up to mow the grass on the appointed day of the week. If additional work needs to be done, you can call him and he will come to your home to discuss it with you. The work is prompt and efficient and cleanup is thorough. In the event the work is not satisfactory, you can call Sean and he will show up to correct any problem. He will also come to your home during a project to be sure it is going according to plan. 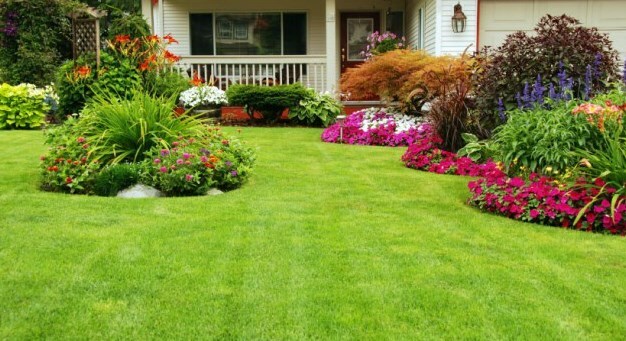 Over the years, we have gradually turned to Sean’s Yard Service for all of our yard maintenance – seeding, weeding, edging, mowing, raking, trimming shrubs, mulching, and cleaning gutters. We find Sean and his crew to be reliable, responsible, and always responsive to our questions, concerns, and requests. Our family has been with Sean’s Yard Service for over 12 years. Throughout that time, Sean and his crew have been consistently responsive to our needs – winter, spring, summer, and fall – and professional in every aspect of their work. Year in and year out, we’ve been pleased with the level of service provided by Sean and his lawn care crews and they are always a pleasure to work with! I have been a client of Sean’s yard Service now for over 16 years. They have always provided top drawer service and been there when needed for a number of tasks above an beyond routine lawn service. Have happily referred them to my Arlington clients in need of a great yard service outfit. For almost 10 years I have enjoyed a very positive business relationship with Sean’s Yard Service (SYS). Sean O’Neill’s company provides a full range of services, including mowing, trimming, mulching, raking , clearing debris from roof gutters, performing spring and fall total yard clean-ups, etc. Each specific service including time of activity, i.e., weekly, monthly, or seasonal is documented and closely monitored by Sean and his management team, ensuring customer satisfaction. In addition, any unique client request(s), such as, “please, NEVER trim my favorite tree…“receives a ‘RED flag’ designation so Sean’s yard crew responsible for this specific home can ensure SYS is 100% in sync with the home owner’s wishes. This business model has always worked for me, and more importantly, for my wife. It should also be noted that Sean is a lifelong resident of Arlington, attending local schools, including Yorktown. And I believe his Arlington roots and his sincere fondness for the local community is directly responsible for his personal commitment to SYS excellence, a commitment that, at least for me, has evolved into a special atmosphere of trust…, not to mention a beautiful yard. © 2019 Sean's Yard Service, LLC. All rights reserved. :|: Website managed by Loudoun Computer Help, LLC.